Limited Edition Beauty Products: Yay or Nay? What do you think about limited edition beauty products? Do you rush out to buy them, or avoid them at all costs? 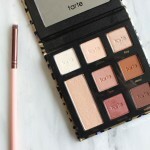 Check out the limited edition Tarte Maneater Eyeshadow Palette, which is only $29! See swatches and read my review to see if it's worth picking up.